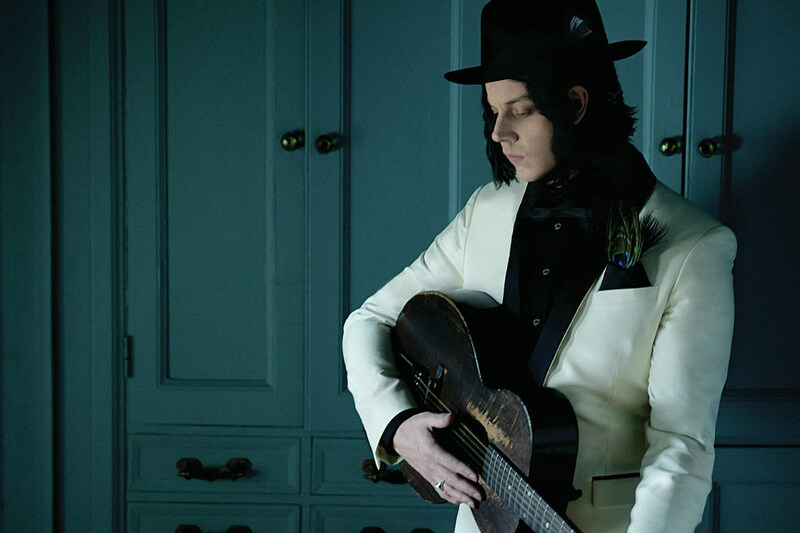 Anyone who saw The White Stripes in concert witnessed Jack White introduce his “big sister Meg” on the drums. That was the story the rock duo concocted in the early days of the Stripes: that Jack and Meg were the youngest of 10 siblings, and they formed a band when Meg tried drumming on Bastille Day of 1997. In actuality, John “Jack” Gillis met Megan White in the early ’90s, when he was in high school and she was a waitress. The Detroit area residents started hanging out at local concerts and record stores, then began dating. On September 21, 1996, when Jack and Meg were both 21, the pair tied the knot. Instead of Meg taking her new husband’s family name, Jack changed his last name to White. Around that time, Jack was playing drums and guitar in various bands. But soon after getting married, the couple formed their own act, concocting the brother-sister story. In the early days of the White Stripes, most people (and the press) took the Whites’ lie as truth. However, after the duo began to attract mainstream attention in 2001, the couple’s ruse was exposed. 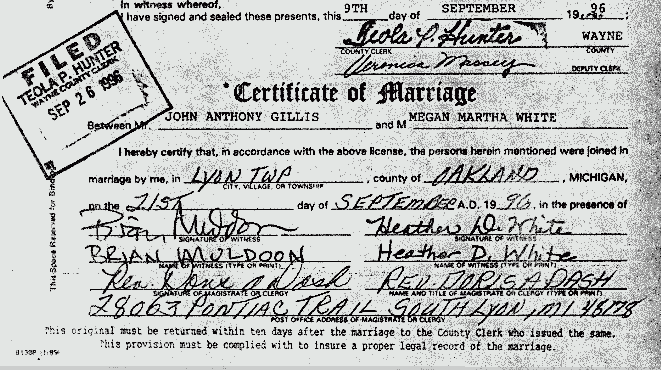 A Detroit newspaper even published their marriage certificate as proof. By then, Jack and Meg were no longer married (they divorced in 2000). But they remained bandmates and continued their brother and sister ruse as the White Stripes became global rock stars with the release of White Blood Cells in 2001 and then Elephant in 2003. Although the pair kept spinning their yarn on stage through the end of the Stripes’ touring days in 2007, Jack gave a little peek behind the curtain in an interview with Rolling Stone in 2005. He suggested that the lie helped people take the duo seriously. Jack and Meg dissolved their band about a decade after they ended their marriage. Jack married model/singer Karen Elston in 2005 (the couple divorced in 2013), while Meg married Patti and Fred “Sonic” Smith’s son Jackson Smith in 2009 (the couple divorced in 2014). As the focal point of Vault package #26, a complete recording from that evening, newly mixed from original multi-track sources, will be pressed on blood red vinyl and made available to subscribers worldwide. The White Stripes Live at the Gold Dollar Vol. III is the third release (Vault 13 comprised both volumes I and II) in an on-going series that will eventually see the release of all extant audio from the band at the Gold Dollar. There are still many unheard treasures to be revealed. This is the first White Stripes show released from the pivotal year 1999…the year which saw the band unleash their first album, do their first extended run of touring with three shows opening for Pavement in the Southeast and found Jack White buying his soon-to-be trademark Airline guitar…all building blocks to what would eventually turn the band into the international juggernaut they became. In conjunction with the live album, a reproduction of one of the Jack White-designed flyers for that evening… three black-and-white peppermints, each varying in circumference and oriented on top of each other…will be included in the package as an 10.75” x 14″ iron-on transfer. All Vault members will be welcome to submit photos of their use of the transfer and the member who’s submission is considered the “best” by the TMR team will win a rare, limited test pressing of the aforementioned LP. Additionally, the other flyer from that evening (also a peppermint, this time on a field of red sparkly naugahyde) AND the setlist as written in Jack’s hand will be included as high-quality color reproductions. Fully utilizing everything in the TMR archives to round out the package finds us also printing the news clipping of the show preview and the hand-written price list from the merch table for that night. Third Man is nothing if not thorough. Completing the Gold Dollar presentation will be two full-color, 8 x 10, glossy prints of photographs taken by the estimable Doug Coombe, featuring Jack and Meg live on stage at the tiny Cass Corridor club in 1999. These are visually arresting to say the least. The 7” for Vault 26 is a continuation of the Dead Weather single series, pairing the moving torch song “Impossible Winner” and “Mile Markers.” When complete, every song from the Dead Weather’s critically-lauded album Dodge and Burn will appear exclusively in 7” form as a single on captivatingly colored vinyl. Are these two songs a hint as to the next possibly music video to come from this merry band of grifters…it seems only time will tell. In the meantime, enjoy Alison belt this one out complete with string section accompaniment and revel in the inherent beauty in this transcendent album-closer. Harkening back to where this all started, the bonus item for this vault package will be an impressive 1.25” enamel pin of the new Third Man Records Cass Corridor logo. Soon to be seen on the lapels and collars of bon vivants the world over, this dazzling pin will no doubt impress even the most die-hard skeptics. 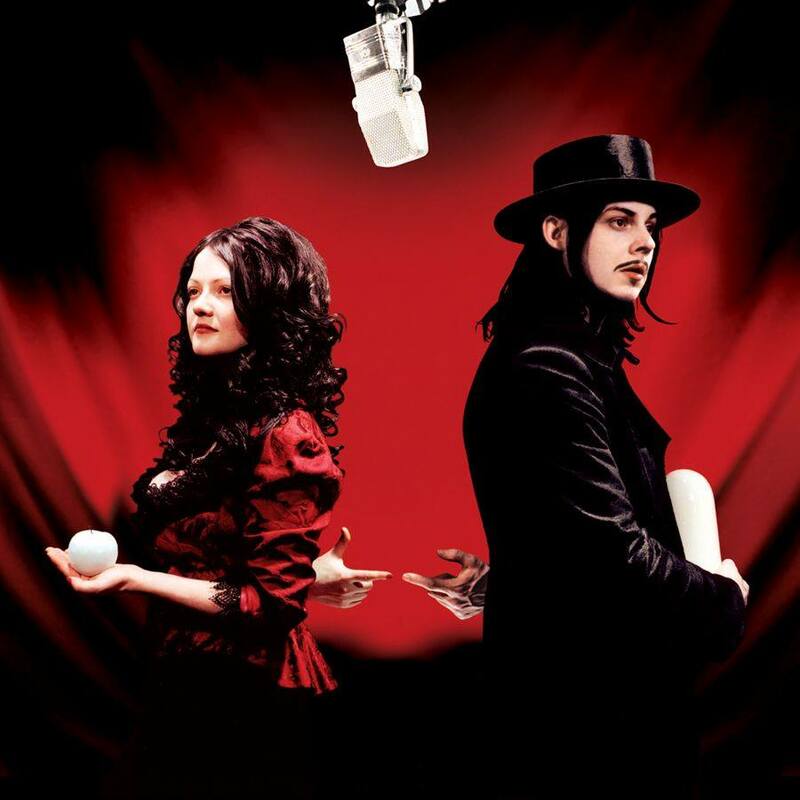 the White Stripes, Jack and Meg Whites fifth album release, recorded in just two week and with only three electric cuts on the album,the rest a more melodic acoustic album with three songs dedicated to the 1940’s actress Rita Hayworth. the rockiest song is a very Led Zeppelinish styled song “Red Rain” certainly they still are the most unconventional duo in rock’n’roll.